The old red maple beyond the garden, one of the few survivors from the original early 1800’s line, has a precarious life. It split many years ago and now exists as a carefully balanced, dancing, tree. Someday it will fall. And someday the two young beeches which bracket it will fill the space, now far larger than those little two foot tall, struggling saplings that I transplanted many years ago. 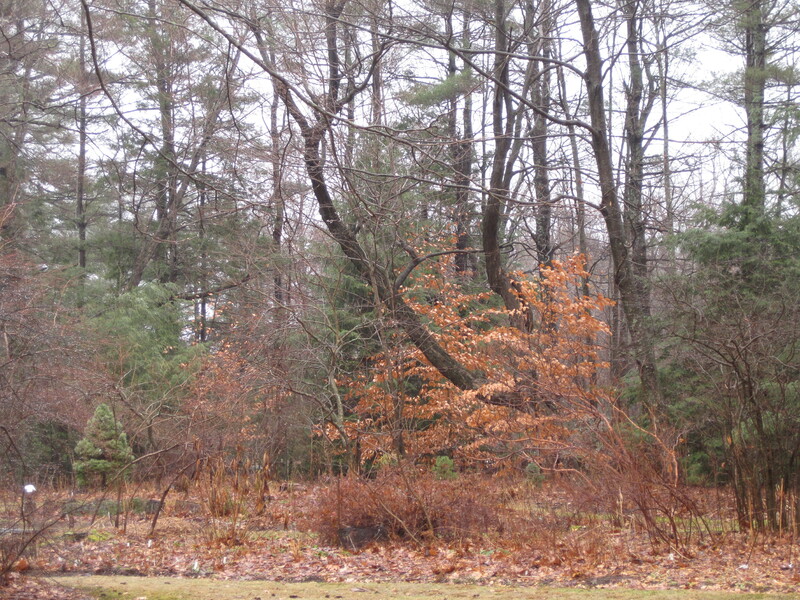 For now the old maple rises above the golden beeches still.